The Queensland Music Festival is opening applications today for two programs for Queensland school students. Score IT! provides students from years 7-12 interested in film composition the chance to create an original composition to accompany a short film produced by the Griffith Film School. The judging panel includes award-winning screen composer and orchestrator Cameron Patrick who orchestrated Jurassic World, Spider-Man: Homecoming, Inside Out and Star Trek Into Darkness. 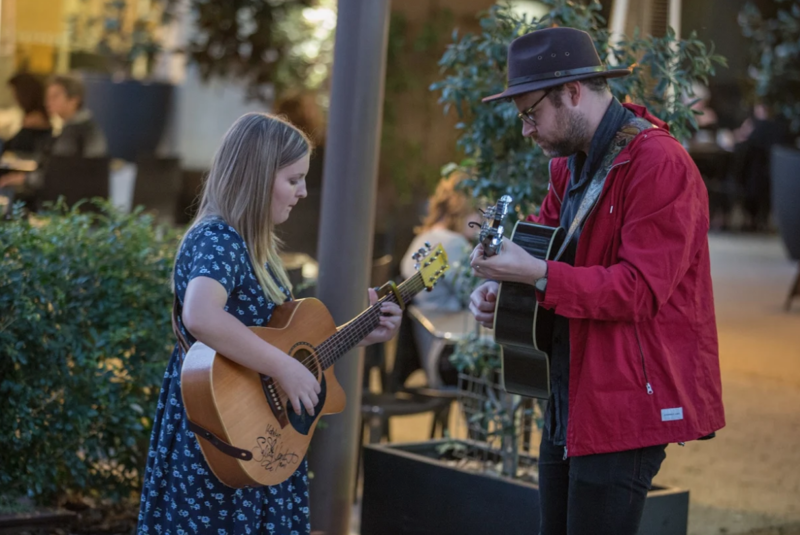 On Song, a statewide songwriting competition for emerging singer/songwriters, is for students aged 12-18 in regional areas. It will be judged by Jack Carty and Katie Noonan. Selected musicians will participate in songwriting and performance workshops and mentoring from Carty, before travelling to Brisbane to play with him at a club gig. The prize pool for both competitions includes a RØDE AI-1 complete studio kit with audio interface. Submissions for both competitions close on Friday, May 24. Entry is free, more details and guidelines at www.qmf.org.au.